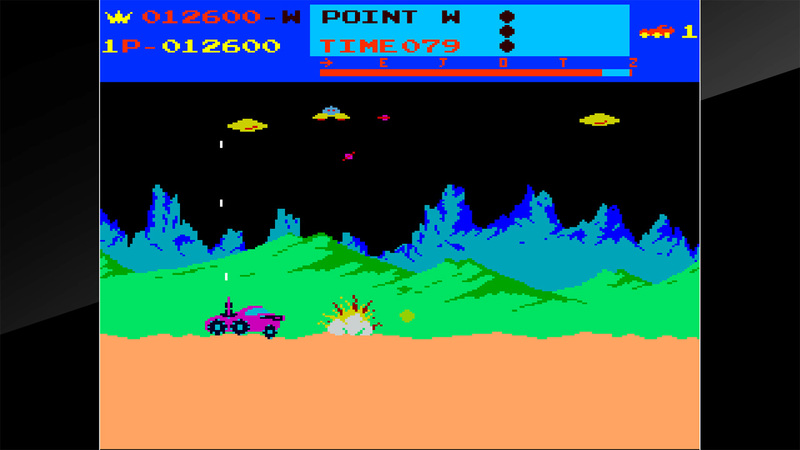 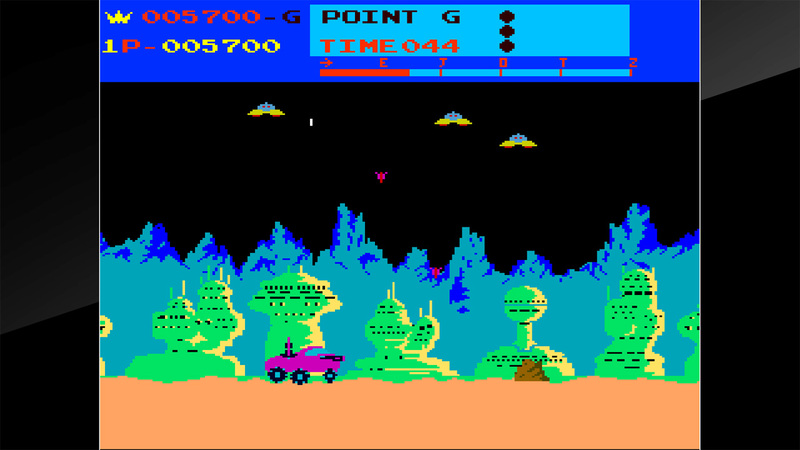 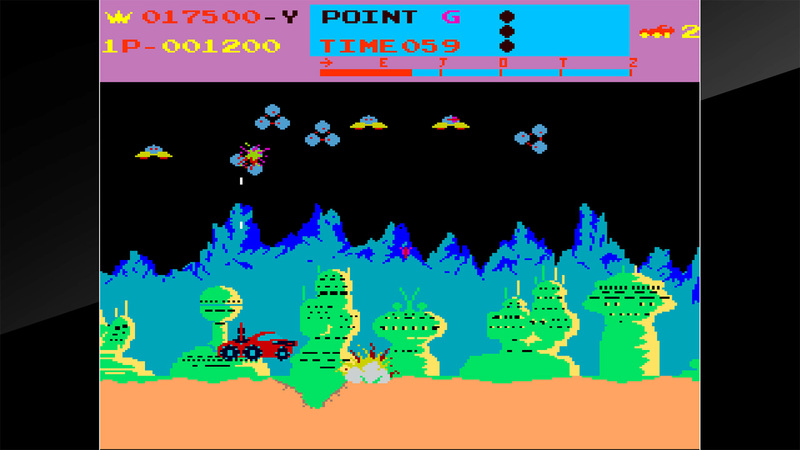 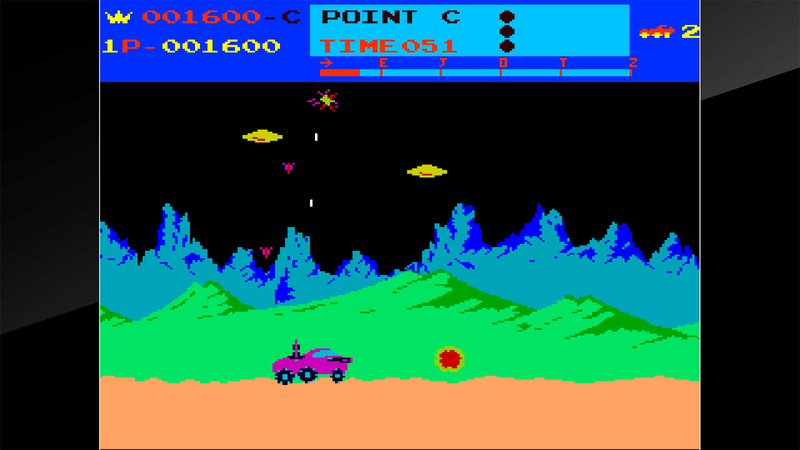 &apos;MOON PATROL&apos; is a side-scrolling action-shooting game released by IREM in 1982. 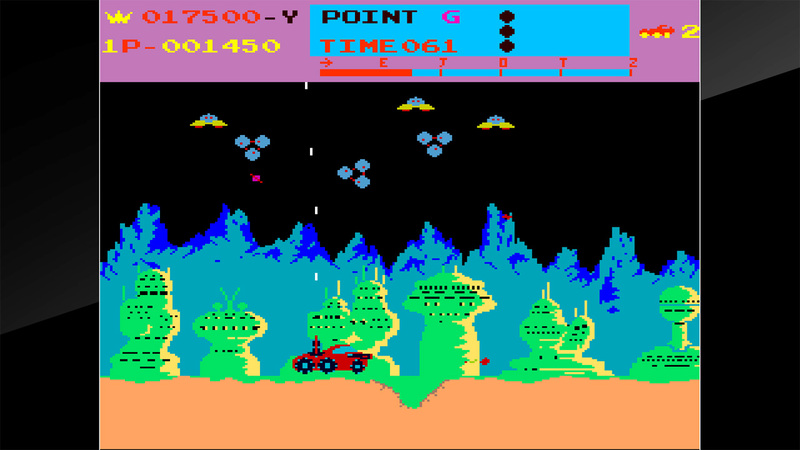 Control a lunar rover as you jump to avoid obstacles, and move forward while defeating enemies that shoot missiles from above or rockets towards you. 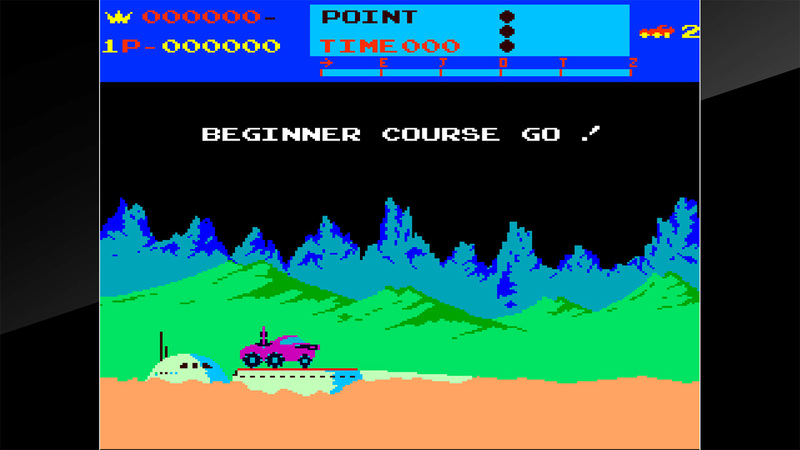 The goal is to make it through the Beginner Course and and Champion Course. 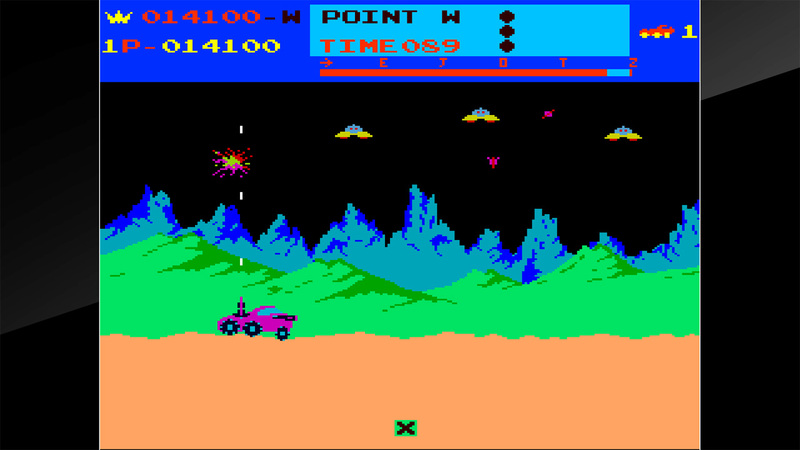 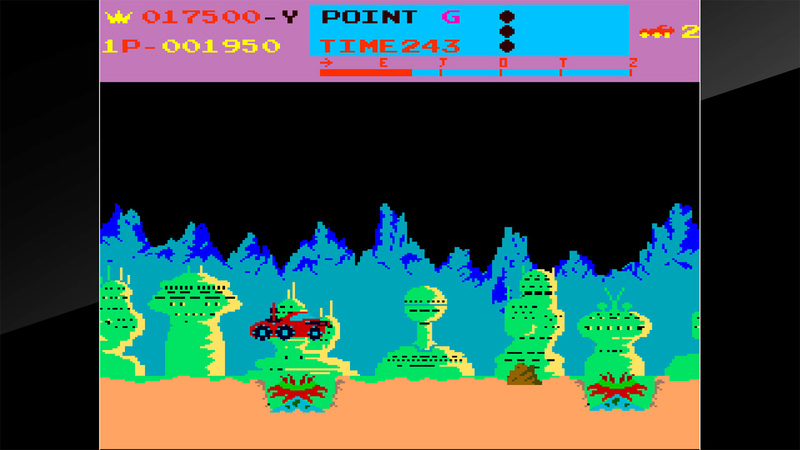 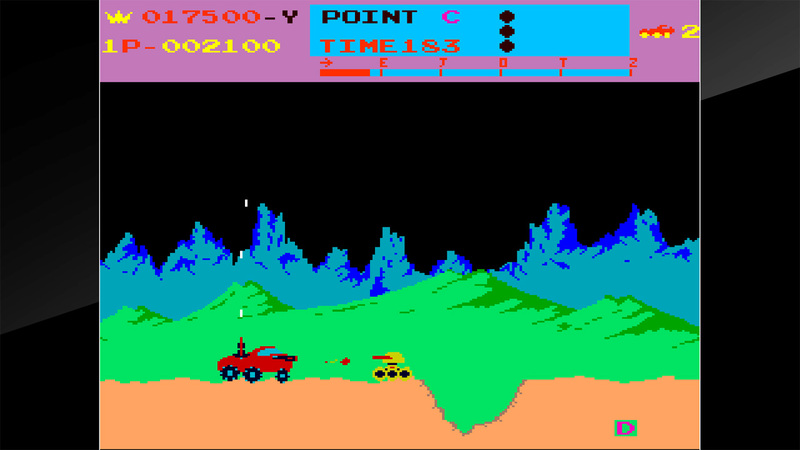 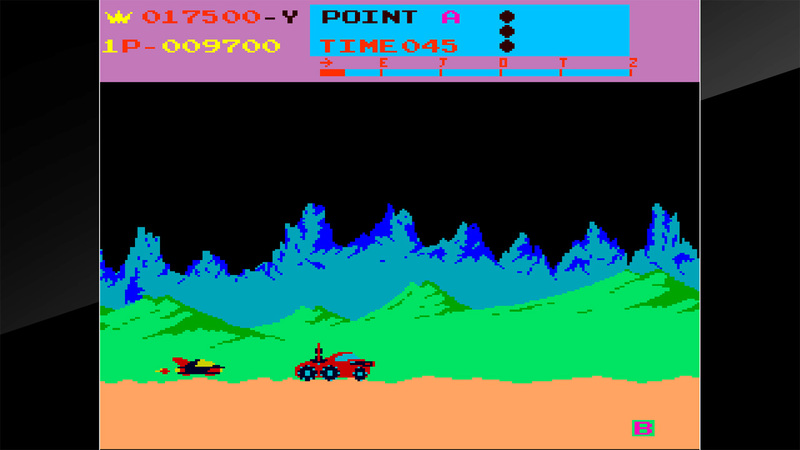 ©1982 IREM SOFTWARE ENGINEERING INC.